Having Problems With Cars Blocking Your Driveway? Here’s What You Can Do. So, you bought that house after spending some extra thousand dollars to own the ample parking space and some fine day, an unknown car is blocking your driveway. Good morning? Would it be good enough morning when you have to struggle to get your car out of your parking especially when you are running late for the office and your petty boss is waiting to screw you for coming half a minute late? Well assuming a lot many things is the easiest of all jobs in this world but who parked that car in front of your driveway? Not some sane minded human, perhaps a person with an emergency! However, at once emergencies could hover over the humans but what about the scene becoming an everyday routine. Nobody likes that definitely. However, if a moron is sensible enough to park a few inches ahead of your driveway and not blocking it entirely, it is better to ignore the one. You move on. If they’re blocking the whole thing, you respond in an entirely different way: you start looking for an outlet where you can plug in your drill — or you start to think about getting a towing company involved. Jokes apart, here’s how you can deal with such miscreants and teach them a lesson. First of all let’s learn to prevent it in the first place. Possibly, the most effective and most constructive way to avoid illegal parking on your driveway every other day is to use “NO PARKING” sign in big, bold lettering. Traffic cones are another better way to entirely avoid it because some morons have the capacity to ignore the signs successfully. However, you can put up a sign in your driveway stating that blocking the driveway will result in the vehicle being towed at the car owners’ expenses. Fear of towing away the vehicle is a scary one for the vehicle owners. Nobody wants their vehicle to be towed and treated badly that too on their own expense. In digital world of today, this is the most basic thing to do as soon as you buy a house. Security cameras can be really effective in stopping people’s cars from blocking your driveway. Also, security cameras can help prevent car thefts and vandalism. So, do it, install the cameras asap. Besides, the videos recorded on your camera can be used to sue someone illegally parking the vehicle in your driveway every now and then. At once, you can always forgive a person, but if it becomes an everyday routine, cameras would play an important role in gathering evidences against such violators. 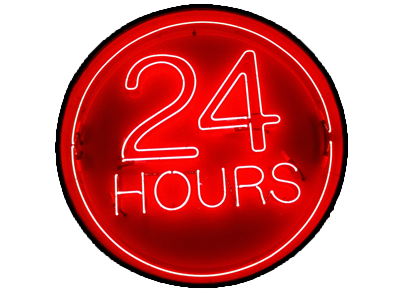 Also put up an obvious sticker stating that this place is under 24/7 video surveillance. Those people would not dare to park their cars in your driveway since they don’t want to get caught in the act. Well, this should have been done ever since you bought a house with a parking. But, it’s okay to be late than never, so paint an obvious line for your driveway to remind people that this is a private property. City building department of your city will help you do that after it will survey your private property. After the property is marked, parking authority will paint the lines at your parking. Get the yellow street paint, and paint a marked-off section that is labeled “TOW AWAY ZONE” in the middle. People will get the hint that it’s not allowed to park there. So, now that you know a few of the ways to prevent parking in front of your driveway, let’s talk about things you can do if someone have blocked your driveway since last night or since last week and you are not able to identify the owner. 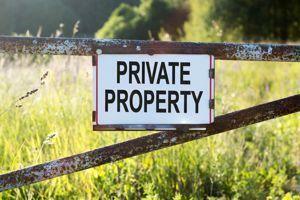 Private property is an infamous area of towing but in emergency it is something very popular and life-saving. 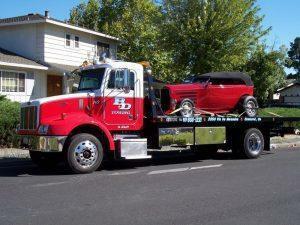 Many property owners are highly dependent on such towing services. So, when you see a car parked illegally in front of your driveway, calling the nearest and best towing service in your area is the best option. The towing service will tow away the car parked outside your driveway thereby helping you in getting rid off of that unwanted vehicle outside your house blocking your driveway. Car blocking my driveway in Walnut Creek home, who do I call? Police! Yes, Police is the first and foremost authority to call when you see a vehicle blocking your driveway. For example, if someone parks in the entrance of your driveway (he or she didn’t park in your private property), which blocks your car in or out, you can call the police for help. In such circumstances, you could not call the towing service; you do not have the right to do so since it is not your private property. The Police can issue ticket to the car so that it can prevent vehicle’s blocking your drive in future. The best possible way is to install a huge iron gate covering your parking and put a sign of “No Parking” on it. Gates generally pose as a security reminder and often make people feel a little nervous about parking a car in front of the gate. Yeah, play with psychology, moreover, it will even add security to your house and can prevent many other things to happen. Burglary, vandalism and theft can also be avoided just by installing a strong iron gate. Try these ways and prevent yourself from everyday harassment by some annoying drivers.